Congratulations! You win 102 bonus points with this purchase! 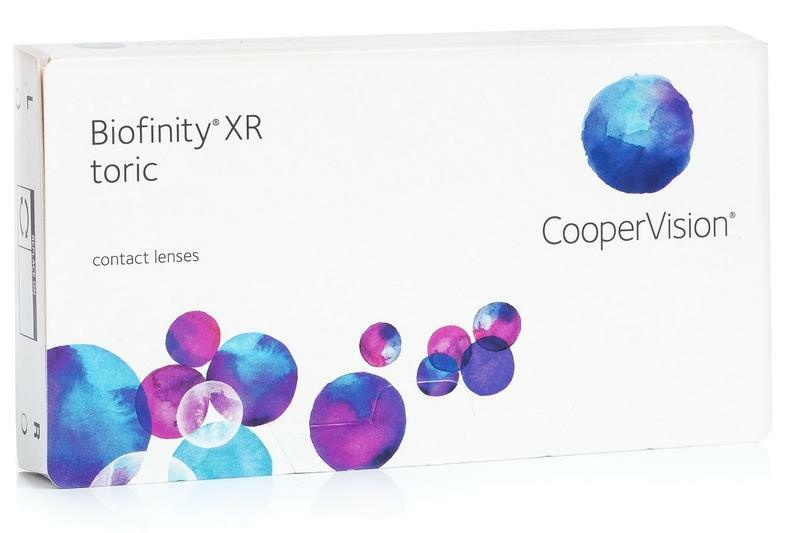 Biofinity XR Toric silicone-hydrogel contact lenses by CooperVision with extended range of prescription are designed for wearers with more extreme degrees of astigmatism. They offer high standard comfort of wear. They are ideal for daily use with a monthly exchange period. However, with a doctor’s recom­mendation, they can be also worn continuously. Biofinity XR Toric contact lenses combine the advantages of silicone-hydrogel material and exclusive Aquaform technology. They offer high supplies of oxygen and retain natural moisture. The silicone macromeres of the contacts made with Aquaform technology lock water inside the lenses and keep them wet for longer periods to provide maximum comfort. The naturally wettable surface of the Bionity XR Toric contact lenses allows even spreading of tear film on the surface of the lens which ensures it is moisturised naturally and doesn’t cause any feelings of discomfort. The contacts have an optimized design with round edges that limits contact of the lens with conjunctiva and thus heightens the comfort of wearing.